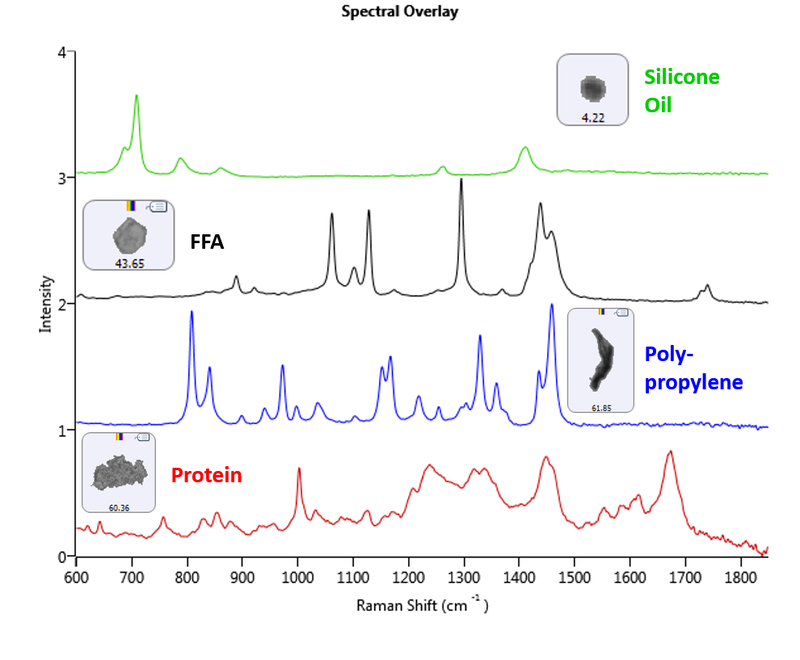 Raman spectroscopy provides a powerful tool for the explicit identification of subvisible and visible particles. Unlike FT-IR, Raman spectroscopy is not sensitive to the presence of water in samples, allowing for aqueous solutions to be analyzed. The automated Raman microspectroscopy system (Morphologi G3SE-ID) used at KBI allows for faster characterization and identification of particles in solution. Particles within a parenteral can have similar morphologies that introduce uncertainty in classification with methods such as MFI. For example, excipients such as polysorbate can degrade and form insoluble particles that have similar shape and transparencies to proteinaceous particles1. Using the Morphologi G3SE-ID system, it is possible to chemically identify subvisible particles down to 3-5 µm in size, allowing for differentiation of subvisible particles with similar morphologies. In addition, the ability to perform spectral mapping across an individual particle allows for proper identification of particles that are complex structures of material, such as silicone oil and protein or silicone oil and surfactant. Automated Raman microspectroscopy does not have the throughput of flow imaging techniques, but has proven repeatedly to be an invaluable method to answer the ‘what is it’ question that arises continuously in development, manufacturing, and stability programs. KBI recommends the Morphologi G3SE-ID when unexpected particles larger than 3 µm are encountered, as an extension to the information provided by flow imaging techniques. We have extensive experience with establishing comparability/biosimilarity evaluations with particles for therapeutic proteins as well as for small molecule products. MFI, NTA, and Archimedes tend to be the workhorse methods for biologic applications; however, the Morphologi G3SE-ID has proven repeatedly to be an invaluable tool for many applications. Due to the versatile sample acceptance, KBI has developed Morphologi G3SE-ID methods to evaluate comparability by characterizing particle content of powders2,3, inhaled products4, tablets5, emulsions6, and suspensions7 that are made up of single or multiple APIs. 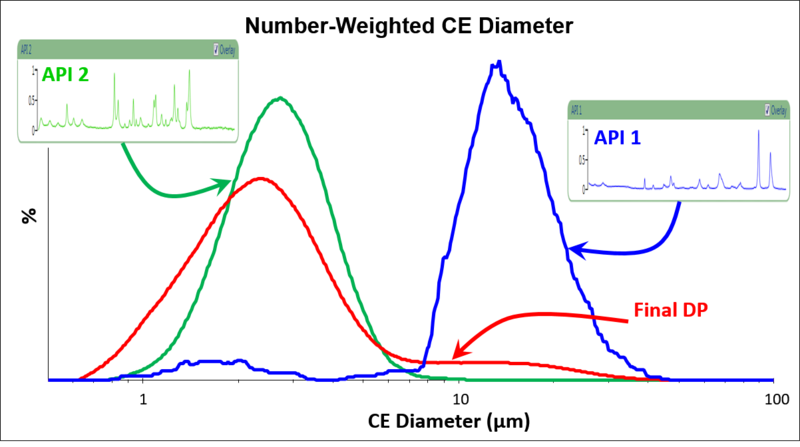 Coupling particle imaging with Raman identification allows a very specific product profile to be confirmed. 1 Saggu, M., Liu, J., & Patel. A., Pharm Res (2015) 32:2877. 2 Gamble, J., Chiu, W.-S., and Tobyn, M., Pharm Dev Tech (2011) 16:542.